I'VE found there are few beer styles which divide opinion quite like Berliner weisse. For a start, the word weisse a bit of a red herring as there's usually quite a stark difference between a traditional weisse beer and a Berliner weisse. It's one of those ancient styles which has enjoyed a bit of a renaissance during the craft-beer wave. Basically, it's a sour beer which originated in Berlin, as the name suggests, and in the early 19th century was labelled the 'champagne of the north'. It gets the sourness from secondary fermentation or the addition of lactic acid and as such shares some of the tart and acidic properties of sparkling wine. In Berlin, they like to throw in flavoured syrups after pouring to offset the tartness, so you end up getting bright red or luminous green beers, which challenge some perceptions of what beer is and lead to many being quite sceptical about the style. Galway Bay's take on the Berliner weisse has thrown up another, more unexpected colour – black. Heathen is a beer which will divide your senses. In the glass, it has the look of a hardy stout, jet black beer with a slightly tan head – but that's where the similarity ends. It has all the tart acidic taste you'd expect from a Berliner weisse, but there's a certain sweetness, perhaps even a taste of cola about it. The addition of carafa malt gives it that black colour, a certain smoothness, a light hint of chocolate and a roasty finish. It's quite a light, refreshing beer, belying its dark appearance, and there are flavours of lemon and apples. It comes in at 4.5 per cent, which is the top end of the strength you'd expect from a Berliner weisse. It's a beer style I have warmed to over time after initial scepticism. It is easy (perhaps too easy) to drink and has quite a thin mouthfeel with very fizzy, sparkly carbonation. 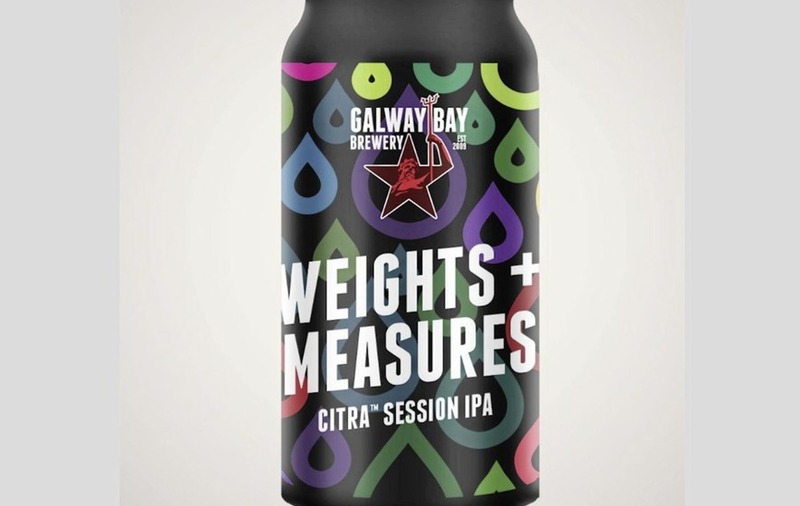 If you're still a bit agnostic about Berliner weisses, then Galway Bay have brought out a cracking session IPA called Weights+Measures. 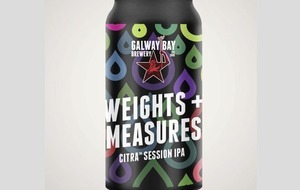 It comes in a 440ml can and slips just under the 4 per cent abv mark. It's crammed full of Citra hops, which have been added at various stages of the brew and is hazy, juicy and refreshing.